In many cases, creating an album is therapeutic. Writing a song and bringing those words to life can be the catalyst for how a songwriter begins to understand the emotions they were going through during a certain time in their lives. For Eleni Era, creating her debut album was exactly that. Era’s musical background began with a piano. After her uncle heard her singing, he invested his time and money for her to attend music and piano lessons from ages 8-18. It was during Fengaros Music Village - a week-long workshop and residency for artists from Cyprus, Greece and England - that she realized she wanted to pursue a career in music. The biggest memorable experience for her that week involved meeting producer Lefteris Moumtzis, who ultimately ended up producing her album, Rise Love. Rise Love is confessional; a journey of Era’s life from the time she was 12 years old to today. She shares childhood adventures, coming-of-age challenges, and the inspiration she feels from people, the relationships between people, the relationships between one’s self and the need to believe in something greater. Her dedication to sharing these experiences and their indivisibility from her identity is what made this album a healing process not just for herself, but as a listening experience. 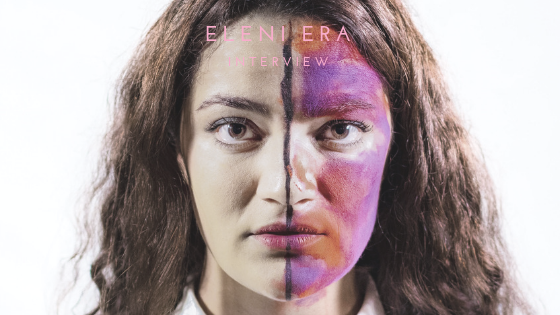 Eleni Era has just started sharing her songs with the world, but the therapeutic nature of her creation process has opened up the opportunity for so much more to come.